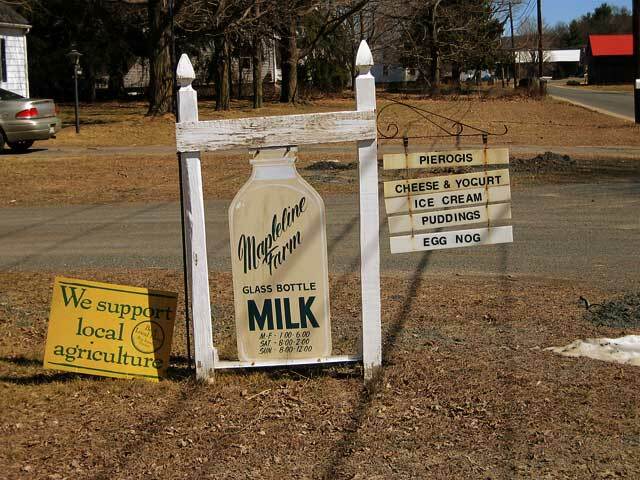 Mapleline Farm, a dairy farm located in Hadley, Massachusetts has been owned and operated for over 100 years by the Kokoski family. 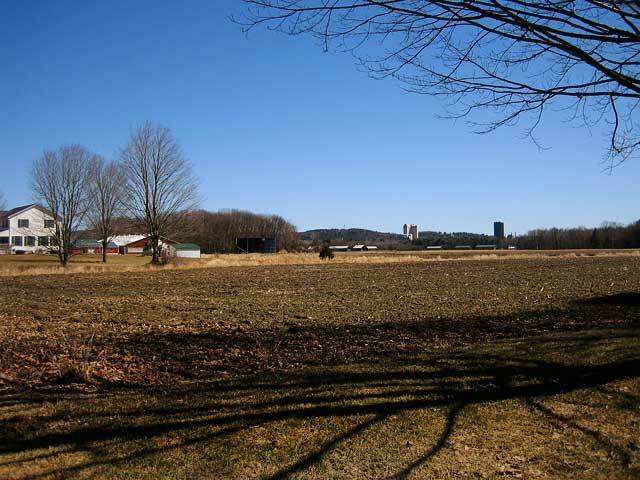 Hadley, along the east bank of the Connecticut River, boasts bountiful farmland and scenic views. The land was purchased in 1904 by the great-great grandfather Stanley Kokoski and his family. The farm at that time consisted of various vegetables and a small herd of cows. Milk was brought by horse and wagon to the Cushman train station to be delivered to the dairy. When Stanley’s son Henry Sr. took over the reins of the farm, he sold the cows, and began concentrating on crops such as tobacco, onions, and potatoes. When Henry Kokoski Jr. took over, cows returned to the farm and remained until the mid 1970s when he sold them. Cows again came back with the next generation. John Kokoski took over the reins for his father in 1986 and increased the dairy portion of the farm along with the field crops of hay and corn. John brought the dairy farming at Mapleline to the next level when he began directly marketing and selling his own milk in 1995. No synthetic growth hormones are used at Mapleline and they pride themselves in the care and healthy management practices of their cows. 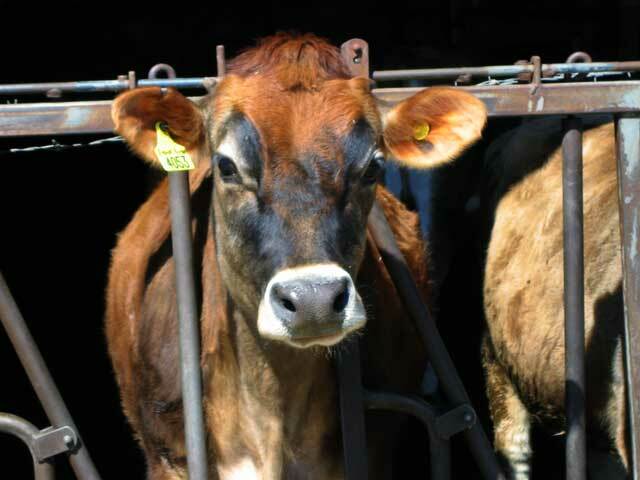 All the cows are bred on site; feed also comes from the farm. There is a strong market in the area to support the business because many of the people are well educated and value locally grown and organic food. John Kokoski believes people value knowing where there food came from and what’s in it. A loyal customer base began to grow and in 2000, the tiny store off the front of the barn had been out grown and the present farm store was built. In 2001, John’s son Paul (fifth generation) returned to the farm to create his own niche delivering bottled milk to customer’s doorsteps. Products are packaged in both plastic and glass bottles. The glass bottle attracts people who are interested in recycling and brings back the nostalgia of years ago. 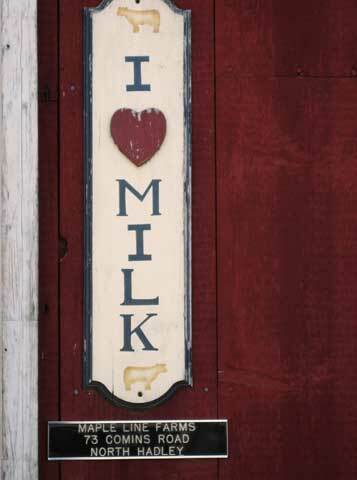 Paul also delivers cheese, butter, yogurt, eggs, meats, bread, juice and water- all from New England. Demand for the Farm’s products increased even more with the introduction of the Mapleline Farm Home Delivery Service. With business booming, the Kokoskis started thinking about expanding farming operations. The opportunity to purchase an abutting farm was what triggered them to put an Agricultural Preservation Restriction (APR) on their land. 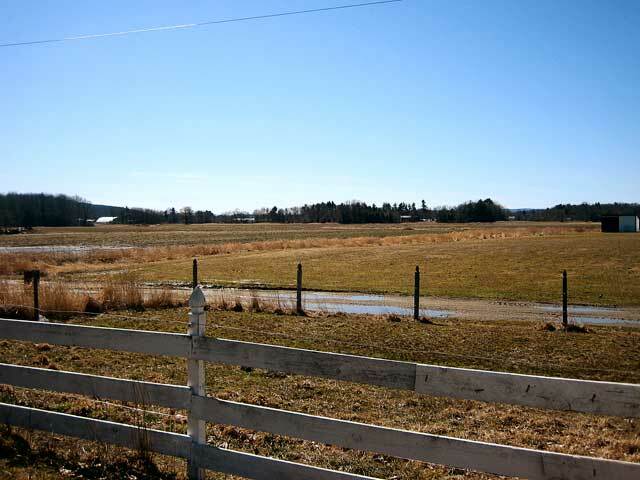 An APR is a special type of conservation restriction to protect farmland. A conservation restriction is a legal agreement that extinguishes the development rights of land forever, but does not alter the ownership of the land. In Massachusetts, the APR program is voluntary and intended to offer a non-development alternative to farmers and other owners of prime or state important agricultural land. The program pays the farmer the difference between the fair market value and the agricultural value of their farmland in exchange for a permanent deed restriction, which prohibits any use of the property that will have a negative impact on its agricultural viability. The APR involved 54 total acres and 2 parcels. 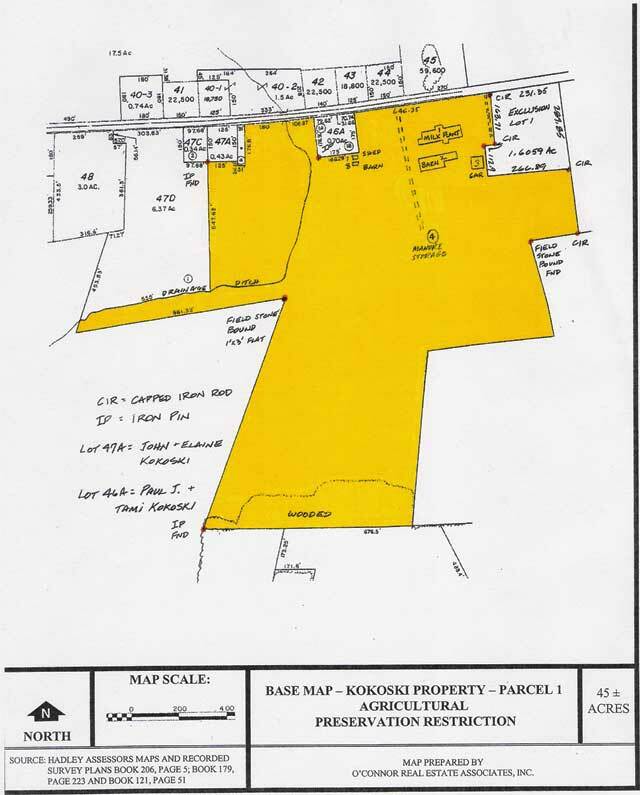 Parcel 1 is 45 acres south of Comins Road. 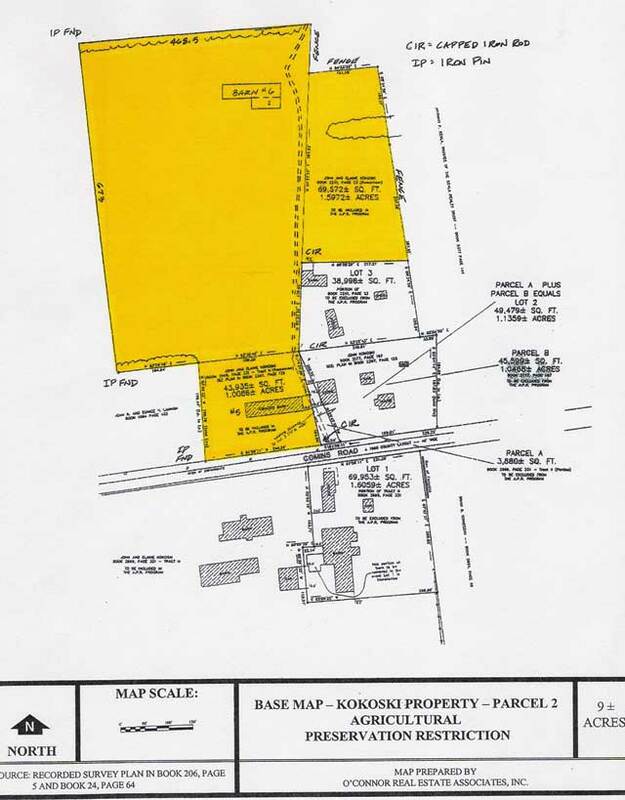 Parcel 2 is 9 acres north of Comins Road. 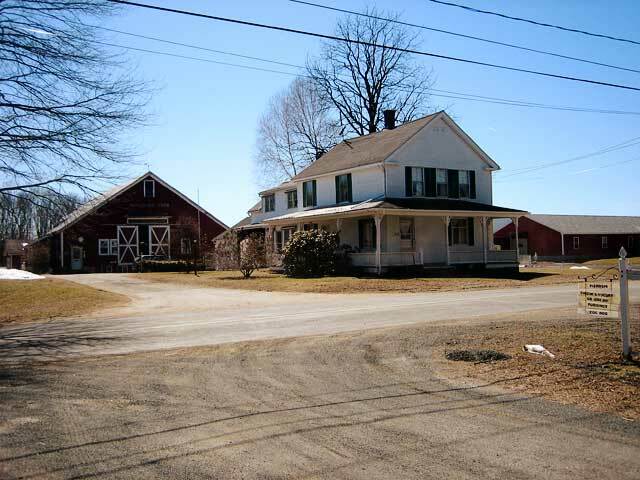 For Mapleline Farm, the fair market value was determined by appraisal to be $575,000. When the appraised agricultural value of $160,000 was subtracted the resulting APR value was $415,000. To join the APR program Mapleline had to meet the following criteria: (1) Farmland of at least five acres; (2) Land actively devoted to agriculture for the two immediately preceding tax years; and (3) At least $500 in gross sales per year plus $5 for each additional acre of farmland and 50 cents per additional acre of woodland and/or wetland. The degree to which the land is of a size of composition to be economically viable for agricultural purposes and the likelihood that it will remain in agriculture for the foreseeable future. 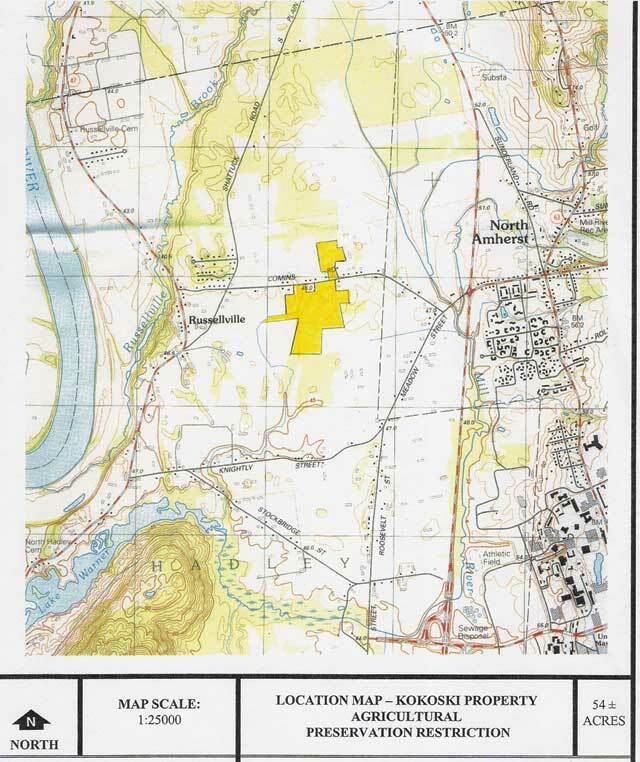 The Department of Agriculture staff report described the Kokoski properties as being comprised of Class II and III prime soils. They were a critical addition to the Hadley APR block because the property was abutting three other APRs. The property was also noted to be of high scenic significance. 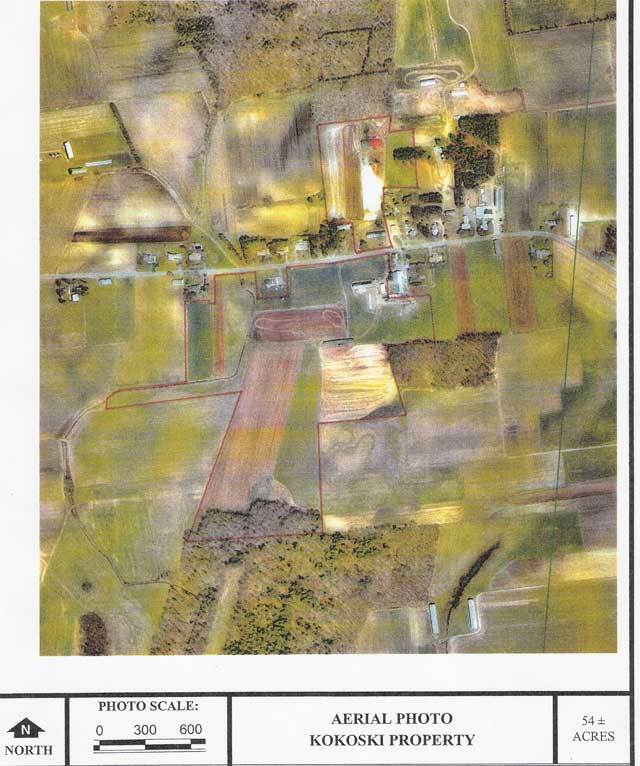 The Town of Hadley identified the parcels for protection in the Town’s Open Space and Recreation Plan, and was willing to contribute $17,500 to acquire the restriction (making them a co-holder). It was up to the State to come up with the remaining $397,500 to reach the APR value of $415,000. After State staff confirmed that Mapleline met the criteria it took almost two years of waiting in line before funding became available. In 2005, simultaneously with Mapline entering into the APR Program, the Kokoskis purchased 60 additional acres of land (already under an APR). They received $415,000 from the sale of development rights, and put all but $100,000 into the additional land that they purchased as well as new milking facility. This allowed them to avoid significant capital gains tax. The new milk processing facility enabled the Kokoskis to process and bottle all of their own milk on site (something they were previously doing in Ware). A baseline monitoring report was prepared at this time, and a representative of the Department of Agricultural Resources APR program will follow up on the restriction by conducting monitoring inspections every couple of years. When it comes to the APR program John cautions that people think about if the program fits what they want to accomplish. He feels that people may do it for the wrong reasons if they are using it as a last resort to bail out of financial troubles. While the right circumstances were what triggered the APR in this case, a number of other factors made it the right decision for the Kokoskis. 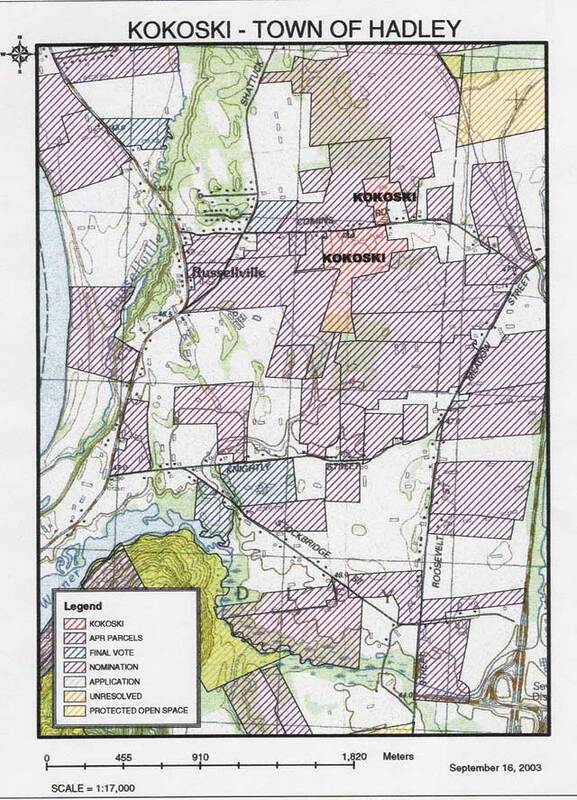 All of the farmland surrounding Mapleline was already conserved through the APR program (so the thought was not a new one). While John Kokoski from time to time had received offers in the mail from developers looking for large parcels he never even considered development to be an option for his property. The Kokoskis had long been committed to farming and John always felt that the land and soil was too good for farming to ever allow houses on it. He noted, “If there was a rock here, it would be because somebody put it here”. With the fifth generation now becoming and involved, John also knew that the land would remain active farmland under many Kokoskis to come. 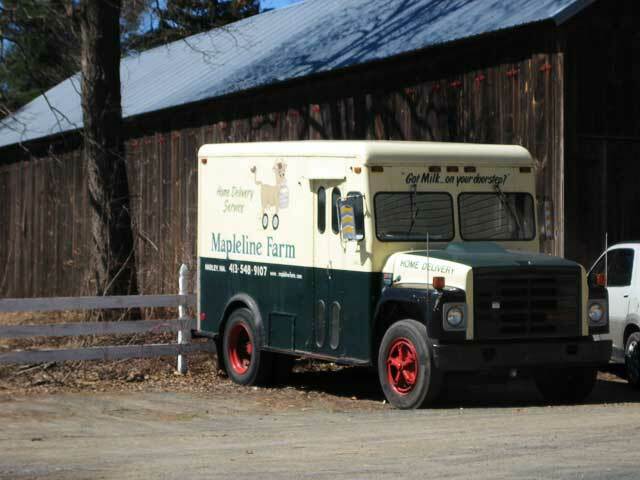 Presently the Mapleline Farm Home Delivery Service has 500 customers, and a number of area restaurants, cafes, and grocers also purchase milk and other products from Mapleline. The majority of customers are within a 15-mile radius of the farm. The only type of advertising used is the internet, yet their phone is still ringing constantly. 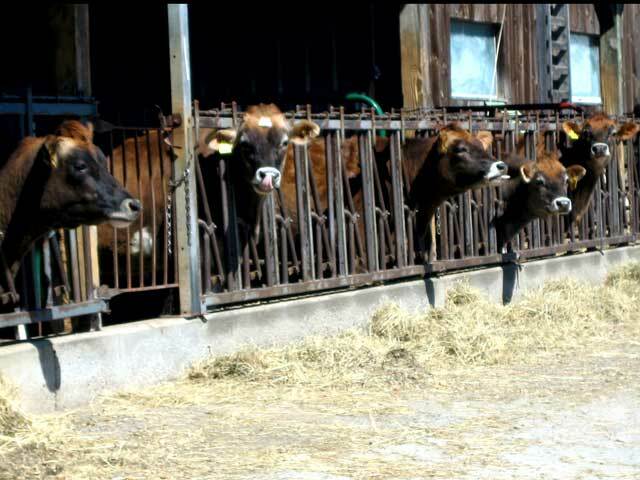 The demand is there for expansion and John hopes to increase the number of milking cows from 75 to 100 in the near future. The Kokoskis have also taken advantage of a number of other programs, which have added to their success. 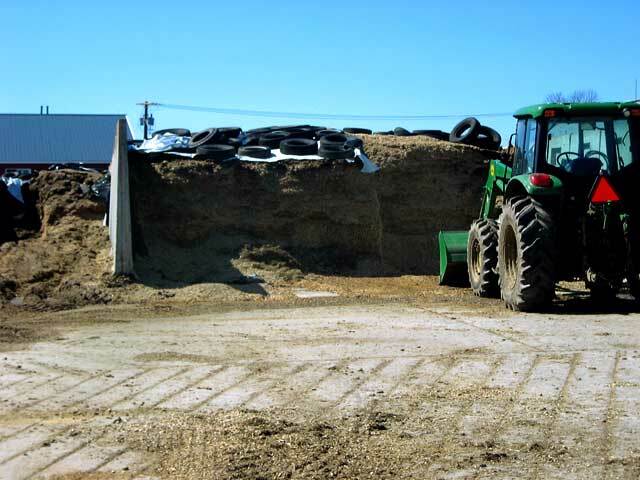 They participated in the USDA’s Environmental Quality Incentives Program (EQIP) to develop a Comprehensive Nutrient Management Plan (CNMP) for the farm. They are also involved in the “Buy Local Food” campaign of the western Massachusetts’ organization- Community Involved in Sustaining Agriculture. 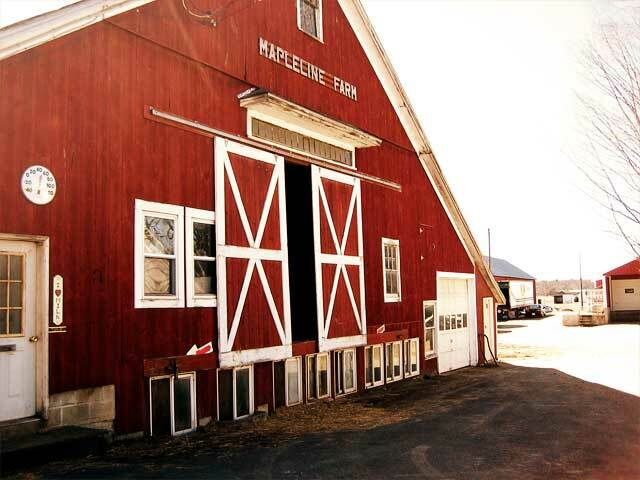 Because Mapleline has been family owned and operated for over one hundred years, the Massachusetts Department of Agricultural Resources has recognized it as “Century Farm” rooted in this State’s history. Participation in federal and state programs can help to keep farm operations viable and protect natural resources. Mapleline Farm has been involved in the Massachusetts Agricultural Preservation Restriction program, and the USDA’s Environmental Quality Incentives Program. An Agriculture Preservation Restriction can be a valuable conservation tool when it fits the goals of the property owner. The sale of a restriction can further benefit the property owner if it is timed properly with investment in the property. Though it requires new skills and responsibilities for dairy farmers, direct marketing can keep farming operations viable. Finding a niche market for products and services can lead to great success. It is important to recognize that there is still a demand for locally grown food in, especially in areas with highly educated people. People value knowing where there food is coming from and what’s in it. Providing people with education about the benefits of locally grown food can further this demand. Great-great grandfather Stanley Kokoski purchases land to grow vegetables and keep a small heard of cows. Henry Jr. (3rd generation) brought back cows for a while, and then sold them again in the late 70s. John Kokoski (4th generation) takes over the reins and brings cows back. John begins bottling and selling his own milk. A new farm store is built. John’s son Paul (5th generation) starts the home delivery service. The Kokoskis realize the high demand for their products. They become interested in purchasing additional land, as well as permanently protecting the existing Mapleline land with an Agricultural Preservation Restriction (APR). Funding becomes available from the Massachusetts APR program and an APR is placed on Mapleline Farm. Simultaneously the Kokoskis purchase 60 additional acres.